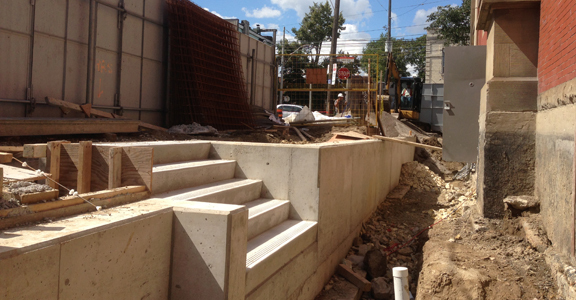 On the east side of the building, this structure is up – the team are working on buidling an internal staircase that will connect the upper and lower levels. 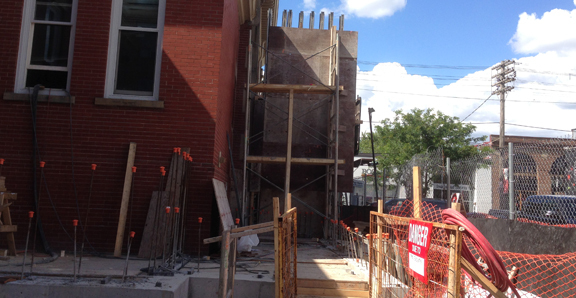 The main entrance to our new home will be on the west side of the building – a ramp will go along the wall, providing access into the box office and into the brand-new café and lobby. 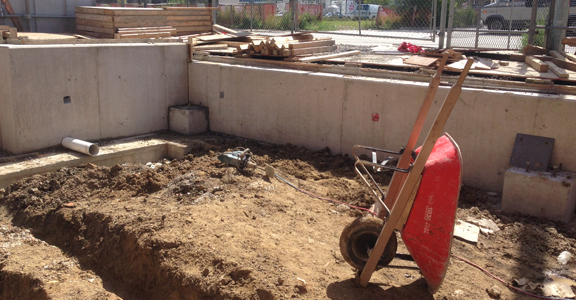 This is the site of what will become a glass-walled café – we can almost smell the coffee! 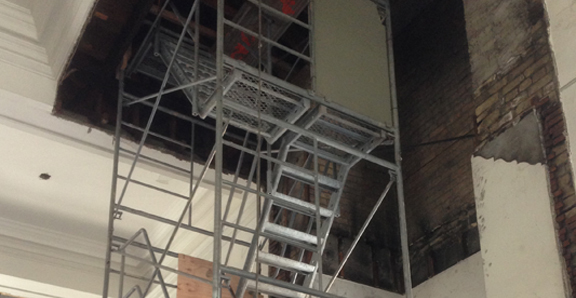 In the main hall, our construction team has put together temporary stairs to be able to access the attic – they even let Franco get up there! 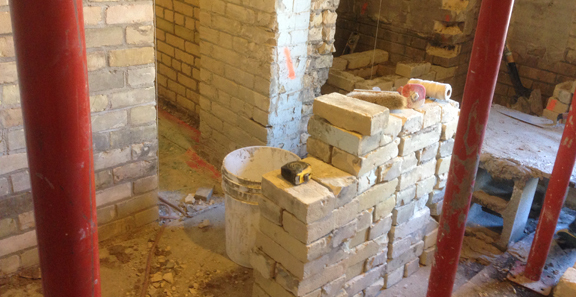 Some of the walls in our future offices had to be patched up – we are using reclaimed brick from other parts of the building for the restorations wherever possible. 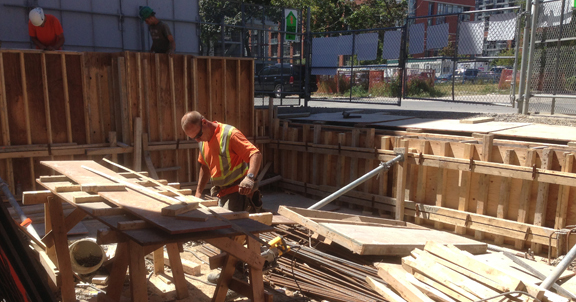 Carpenters at work – the project requires loads of millwork!